We spoke to Darren Sarisky about the making of his edited collection Theology, History, and Biblical Interpretation: Modern Readings. This collection brings together a variety of insights on how to bring together historical and theological perspectives on the Bible. For students of theology at undergraduate and postgraduate level, this reader provides a fantastic starting point for thinking about the theology surrounding the Bible through history. As I was editing Theology, History, and Biblical Interpretation: Modern Readings, I had a younger version of myself in mind as the book’s reader. The work is a collection of readings intended as a textbook for students, and as I was putting it together, my aim was to produce a book that I would have liked to have read when I was first learning about different approaches to the Bible. A number of years ago, when I was doing my initial theological studies, I took a course on biblical hermeneutics, which included a survey of the history of interpretation. We read a synthetic overview of how the Bible had been interpreted through history, and this was a serviceable introduction to major figures and movements. But it was hardly exciting. From reading this secondary source, which summarized in a convenient way how interpretation of the Bible had evolved over time, I was at least made aware of who many of the major players were, and how they were responding to one another. But the experience did little to stimulate my own thinking. 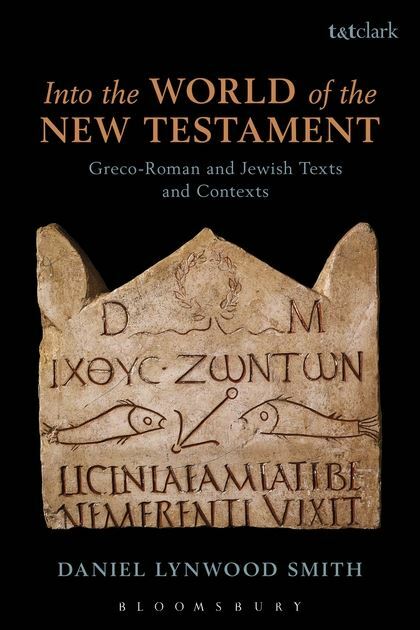 "These extensive readings provide a wonderful resource for engaging biblical hermeneutics. Darren Sarisky’s introductions are clear and concise, gently helping the reader to keep central questions in mind. Whatever one’s inevitable quibbles over a text getting left out, these selections represent important moments of the modern conversation about theology and interpretation. Sarisky is one of the young scholars who can advance that conversation to a new stage, and here he does so by helping us attend to its historical context." The collection of primary texts I have gathered together will not only acquaint readers with influential authors, but it will do so in a way that provokes them to think for themselves about the major issues. The book does not aspire to be a comprehensive summary of the history of the interpretation of the Bible. It is more focused than that. It covers only a limited period of time: from the Enlightenment to today. And it concentrates on a major area of discussion within the broader area of biblical interpretation: the relationship between theology and history as factors that condition how the Bible is read. For instance, the book considers whether possessing a religious faith changes the way that one might interpret the text. Another question that comes up repeatedly is what it really means to read the Bible in its historical context. I included in the book perspectives from both (a) authors who are religious in a traditional sense and (b) those who either are not traditionally religious or who do not consider such factors to have a bearing on properly reading texts. Of the authors who are religious in some sense, most are Christian, but the book also includes Jewish perspectives on interpretation, which broadens out the coverage and provides an interesting point of comparison. The text’s twenty chapters — starting with Benedict de Spinoza, David Strauss, and Søren Kierkegaard, and coming up to the present day with James Barr, John Webster, and many others — cannot help but spur readers to think about how to interpret the Bible. Many of the texts I included in the reader are landmark works, ones that have had a major impact on the history of interpretation. So it is not surprising that they are in many cases challenging texts. For that reason, I took a number of steps to make them as accessible as possible. First, I abbreviated some of them, at the same time making an effort to retain the flow of the argument the texts were making. Second, I wrote a substantial preface to each chapter, in which I introduce the author, summarize the main points that the piece makes, and suggest a few questions for critical reflection and classroom discussion. Third, I also included a general introduction to the book that discusses the scope of the work and attempts to distill the major themes that run through the reader as a whole. "Theology, History and Biblical Interpretation is a collection of twenty seminal essays that, taken together, reflect the ebb and flow of historical vs. theological interests over the past two hundred years of biblical interpretation. Darren Sarisky provides a helpful editorial introductionand offers a broader perspective from which to see present-day controversies for what they are, namely, the latest chapter in the long story of the Bible, history, and theology in the modern world. This is a helpful collection of essays that convincingly demonstrates the importance of coming to grips with the meaning and relationship of historical and theological biblical interpretation." I hope that this reader will provide a great deal of food for thought to students as they get their heads around what it means to read the Bible. I think the book will work best with students who already have at least some experience of doing biblical exegesis. I suspect that this will give them a better sense of what the key issues are. Teachers who decide to adopt the book might consider discussing with their students how the different approaches would play out in practice by considering what the different interpreters might do with a sample text. "Since the Enlightenment, thoughtful readers of the Jewish and Christian Bibles have asked whether and how ancient scriptural texts, for all their historical particularity, might be or become the divine word. In this judicious selection of key voices in this debate, Darren Sarisky ushers the reader into this lively and ongoing conversation. The masters are all here, from Spinoza and Kierkegaard to Troeltsch and Ricoeur. Careful attention to these readings might save historical criticism from its thoughtless historicism, and theological interpretation from its ahistorical weightlessness, and resource a sophisticated dialogue between history and theology in the reading of the Bible today." The book grows out of my research on what it means to read the Bible theologically. My main current project is to complete a book on that topic, which is much discussed in contemporary theology. I had taught many of these texts before to students, both at undergraduate and postgraduate levels. But editing this collection gave me a chance to engage with these texts once again and in a bit more depth. In that way, it helped me to ramp up to incorporating reflections on these texts within the book I am writing. Thank you, Darren. To those who would like, you can buy the book here. A really pleasing line in RBL about Thomas Hatina's new book. The book was published back in 2013. You can purchase a copy of the book here.